What can we gain from a digital detox? More frequently I have been reading about digital detox challenges and decided to undergo one myself. I dedicated my Sunday to silence and being off-line, which meant no internet browsing, no email, no telephone, no TV and no newspapers. So how did I go? The first thing you realise when you are not using your smart phone for a day is how often you usually do. I use mine to check the time, the weather, the news, emails and social media pages, and for taking photos, internet browsing and shopping. So once I had posted my only post for the day on Facebook and Instagram, and let my nearest and dearest know that I was going to be off-line for 24 hours I put aside my phone. “Am I missing out on anything?” This question arose several times in the morning, and it was not just related to social media posts or emails. I had missed my usual morning check on the news, the weather and fire reports (yes it is definitely fire season now). My responding question became, “Can it wait till tomorrow?” In my case, I wasn’t waiting for any life-changing news, so there were no matters of urgency that I was aware of. I wouldn’t suggest going offline at a time that you have family or work commitments that will need your input. You don’t want your digital detox to be any more challenging that it needs to be. Yes, part of my quest for the day was to have silence. Unlike some, I am quite accustomed to silence, but I often don’t experience both silence and being off-line at the same time. Once my question about was I missing out on anything passed, other positive thoughts and ideas arose. I reached clarity on a number of work projects and recalled important but non-essential tasks that I had forgotten all about. In our busy lives we cannot hear clearly, and we cannot process and recall everything. A digital detox gives you silence to hear what needs to be acknowledged and attended to. I seemed to have more hours in my day. And whilst I had set goals for my day, such as completing outstanding assignments for a course that I am currently doing, I had plenty of time to attend to my usual routine too—meditation, horse time, meals, watering the garden and getting to bed early. I even had time for an aromatherapy bath before bed. I think the most valuable outcome for my digital detox was a feeling of spaciousness. My mind and body were free to go about the day without unnecessary restriction or pressure. Checking on social media posts and text messages, whilst can be enjoyable, is also a pressure. My routine of checking the online news in the morning and watching the ABC 7pm news provide restriction on what else I do during these times. But most importantly being off-line reminded me that our definition of urgent is usually our own fabrication—many things do not need to be attended to right now. A digital detox helps create space by removing the sense of urgency in our day. 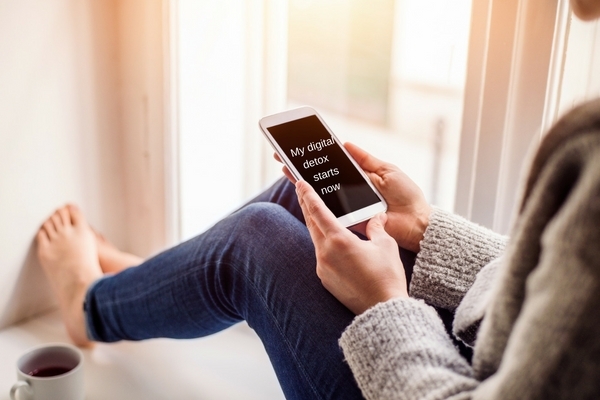 As with all goals, you need solid reasons for doing a digital detox. For me, my mind was craving for silence, and I also needed to complete my outstanding assignments. I knew it would be easier for me to complete my assignments without any distractions. Other people might take digital detox to save time, get to bed earlier or to spend more time talking face to face with the special people in their life. I found the day so valuable, that I suggest a digital detox for the pure experience of having a day without your smart phone, computer and TV. And I would love to hear how you go. 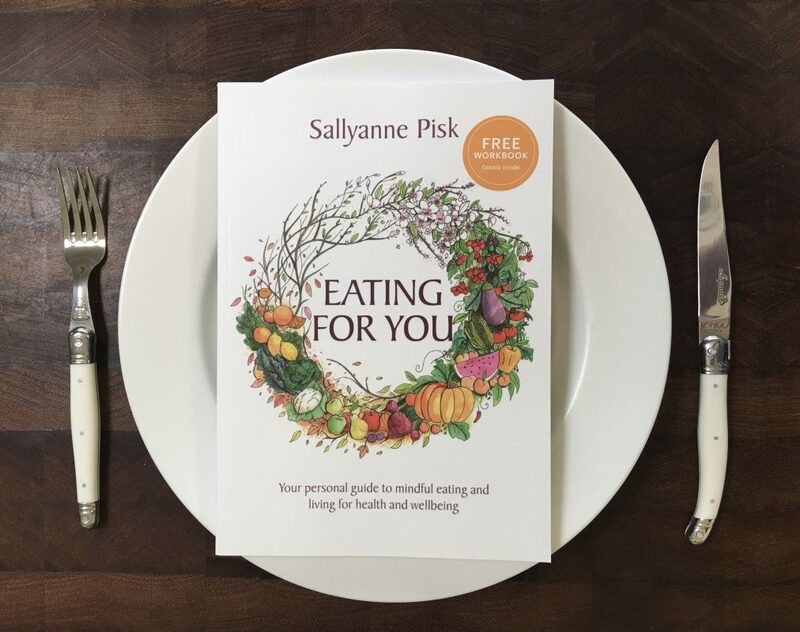 If you enjoyed this post, then you might like to receive my monthly Nourishment Update, which features nutrition, health and wellbeing tips and recipes. You can register here.